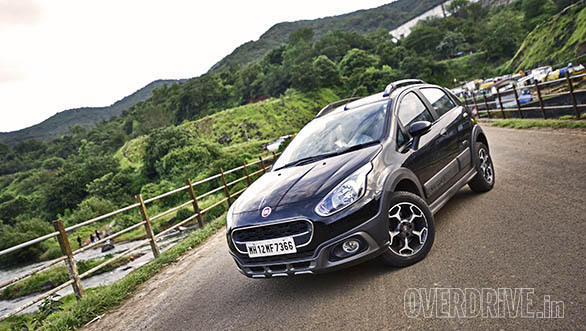 I've had the the Abarth Avventura for a month now after Ashok moved to the far more frugal Baleno diesel. The initial honeymoon phase was awesome. I was drunk with power, flooring it at every opportunity and laughing like a madman. But like all things, reality sets in fast. I still love every drive in the Fiat but I have begun to question what life would be like with a car like this. At near Rs 12 odd lakh on road Mumbai, it isn't cheap and there's also the fact that not a lot of people have the option of owning multiple cars in this cramped city. So what I've done this month is put myself in the shoes of a driving enthusiast who's considering this car as his do it all solution. Can it work? The first fear with any sporty car is how it handles on India's roads. The Abarth excels here. Ground clearance is ample and I've even waded through a flooded road one time! Ride quality too is excellent, bumps and rough sections are absorbed surprisingly well. For the driver then, there really isn't much to complain about besides the driving position and flat seats that you eventually get used to. But what about the passengers? I come from a family of tall people and the Abarth's backseat isn't very popular back home. While the car looks large from the outside it doesn't offer very much space inside. 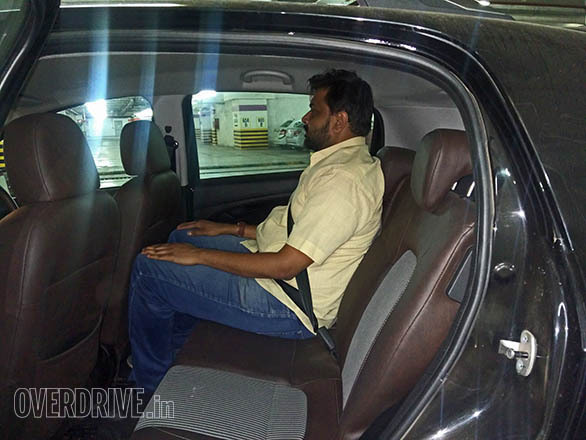 If I adjust the front seat according to my comfort, the rear knee room almost vanishes. I can imagine it will be a bit of a problem if I'm always eager for long weekend drives and the family doesn't agree! As a fast family car, I think the Linea 125S is a much smarter choice. Oh and before I forget, the limited stowage spaces in the front for things like a mobile phone and wallet is a big irritant. My wallet now resides in the door pocket (which takes away the space for a water bottle) and that's just asking for trouble. The second worry is efficiency. Sure I know what I'm getting into when buying such a machine, but naturally, it's still a concern. If you floor it indiscriminately, the Abarth will burn through your pockets so fast you won't know what hit you. But, if you can back off and drive with a gentle left leg the figures aren't too bad. I average about 8kmpl in the city and 10.5kmpl on the highway. Not bad at all given the potential fun to be had with the car. In her three months with us, the Avventura has received some bruises. 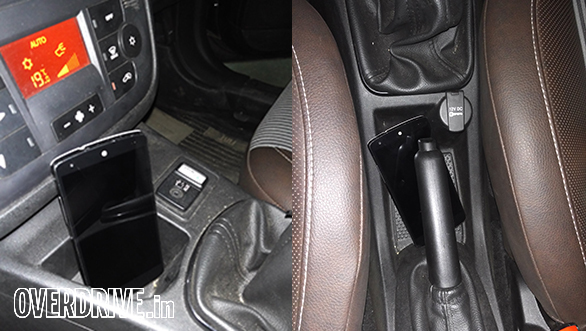 Now one is sure how it's happened but the bonnet lever and seat height adjustment lever have both broken. I'm sending the car back to Fiat to have this addressed and don't think it should be too expensive or difficult. Will update the next report with prices.